To book exhibit space or sponsorships, please contact Davida Berger at (973) 632-0138 or davida@debtechint.com. Good information yields better decisions. IBM helps companies make better, faster decisions to improve their operations and drive competitive advantage because they are confident in the quality of their data. With self-service and IT-managed options, everyone who needs it can get the right data quickly and easily. Recognized by industry analysts as an integration and governance leader, IBM offers a unified data and analytics platform that can integrate data from any source to help you discover, enrich, integrate and manage data over its lifetime and ensure quality, trust and confidence. We help clients manage data chaos and deliver trusted data to the business in order to enable data excellence. As a market leader in enterprise application software, we help companies of all sizes and industries run better. From back office to boardroom, warehouse to storefront, desktop to mobile device - SAP empowers people and organizations to work together more efficiently and use business insight more effectively to stay ahead of the competition. SAP applications and services enable more than 335,000 customers in 190 countries to operate profitably, adapt continuously, and grow sustainably. Our solutions for enterprise information management (EIM) help you govern, manage, and analyze all your data from a variety of sources, providing more complete and accurate information to help streamline business processes, improve analysis, and comply with governance policies. To learn more, visit http://www.sap.com/eim. Semarchy is the Intelligent Data Hub™ company. Its xDM platform solves for enterprise Master Data Management (MDM), Application Data Management (ADM), and Collaborative Data Governance challenges for some of the most well-known brands in the US and Europe. This agile platform leverages smart algorithms and material design to simplify data stewardship, quality, enrichment and workflows. xDM platform to address challenges such as The Global Data Protection Regulation (GDPR). xDM from Semarchy is implemented via an agile and iterative approach that delivers business value almost immediately, and scales to meet enterprise complexity. We are a consulting company that focuses exclusively on Enterprise Data Management, Modern Data Warehousing/Architectures, and Decision Intelligence, including both strategic and implementation services. Through our parent company, EXL Service, Datasource also has access to best in class data analytics such as industry-aligned KPIs, predictive modeling, machine learning, and robotics. Datasource not only manages enterprise data, but also provide deep business insights from that data in a powerful end-to-end solution. We remain close to the latest technology and industry trends and help move the needle with thought leadership. We are passionate about data and your success. DATUM drives decision integrity across any enterprise, empowering organizations to discover the right data and make the right decisions faster. By focusing on what data matters and why, DATUM’s proven data governance and stewardship platform delivers business value insights. Today, many Fortune 500 companies trust DATUM as the data governance system of record to improve operational efficiency, deliver greater analytical insights, and simplify compliance and regulatory reporting. For more information, visit http://www.datumstrategy.com/ and follow us on twitter @datumstrategy. Experian enables organizations to unlock the power of data. We focus on the quality of our clients’ information so they can explore the meaningful ways they can use it. Whether optimizing data for better customer experiences or preparing data for improved business intelligence, we empower our clients to manage their data with confidence. We have the data, expertise, and proven technology to help our customers quickly turn information --- into insight. We’re investing in new, innovative solutions to power opportunities for our people, clients, and communities. To learn more, visit www.edq.com. The Infogix cloud portfolio transforms data into insights, ensures data accuracy, and bridges the technical to business divide with Infogix Data3Sixty™ data governance. Customers rely upon Infogix data quality to deliver trustworthy data which is subsequently liberated through big data analytics and data governance, which simplifies the arcane world of IT data for business users. Transforming data accuracy and providing introspective analytical and data governance insights substantially lowers risk, provides auditable evidence and standardized processes for regulatory compliance, and improves operational efficiencies. Information Builders’ Data Management Platform is powerful enough for organizations to have complete administrative control of their most vital data assets. Whether installed in-house or in the cloud, it enables rapid access to timely, accurate data across all systems, processes, and stakeholders. Innovative Systems has been a premier provider of enterprise data management and risk management solutions to Global 2000 organizations for 50 years. Enlighten®, the newest version of our powerful, state-of-the-art data quality suite, includes capabilities such as data profiling, cleansing, linking and deduplicating, address validation, geocoding, and ongoing data quality monitoring. Innovative also offers the Instant 360° View solution, our market-disrupting offering for quickly integrating data into a single view without a master data management platform. Innovative’s solutions support a single customer view, analytics, GDPR, customer experience, and digital transformation. All solutions are available on cloud, on-premise, or hybrid platforms. Are you trying to create an effective metadata management solution to support regulatory compliance efforts such as GDPR, to give your company a boost in data quality, or to get overall insight into everything inside your data warehouse? Then make sure you aren't missing the strongest data lineage based on the actual physical metadata. MANTA is just that. Its ability to automatically understand custom SQL code can save you hours of pricey manual work. Come visit our booth at DGIQ to stop wondering how data is moving through your DWH. Prolifics creates a competitive advantage for organizations around the world by implementing customized data solutions that achieve business success, leveraging leading technologies in a global delivery model. For more than 35 years, the company’s technology expertise, industry-specific insights and certified technology accelerators have transformed organizations around the world by solving complex IT challenges. For more information, visit www.prolifics.com. TopQuadrant helps organizations succeed in data governance with TopBraid Enterprise Data Governance (TopBraid EDG). EDG is the only solution built to support integrated governance across all types of assets and governance needs. It offers a staged approach that can grow organically with your governance program. EDG supports all types of data assets, including business terms, reference data, enterprise metadata, data and application catalogs, data lineage, data exchanges and pipelines, requirements, policies, and processes. These and any other assets can all be connected to bring together enterprise information silos. TopBraid EDG is built on standards-based knowledge graph technology that seamlessly connects enterprise metadata, ensures its quality and delivers easy and meaningful access for all data stakeholders. TopQuadrant’s customer list includes organizations in financial services, pharma, healthcare, digital media, government and other sectors. www.topquadrant.com. CMMI® Institute is the global leader in the advancement of best practices in people, process, and technology. The Institute's Data Management Maturity (DMM) model platform provides the best practices roadmap to help companies BUILD, IMPROVE, and MEASURE their enterprise data management function. The DMM is a vendor independent, product neutral foundation for the implementation, measurement and reporting of capabilities for key industry requirements like the GDPR, BCBS and the Internet of Things. Visit cmmiinstitute.com/dmm to learn more. AHIMA’s IGAdvisors™, provider of IG consulting services, is leading the healthcare industry in expert information governance (IG) strategy and implementation. IGAdvisors™ is committed to advancing IG in the healthcare industry to ensure integrity of all types of information necessary to support safe, quality, cost effective care and the improvement of the health of individuals and populations. With help from IGAdvisors™, organizations can develop an enterprise-wide IG strategy; create an organizational IG framework; provide oversight for business integration; and help manage risk, security, privacy, protection, and compliance. Information Asset specializes in helping organizations build out their data governance programs. The company was founded by Sunil Soares, a thought leader in the industry, who serves as the managing partner. Each data governance process is unique. However; Information Asset often recommends a quick start program called Data Governance in a Box. The results of this method have been consistent -- clean, actionable data which increases operational efficiency and decreases risk. Our most successful engagements go further than day-to-day improvements and data becomes an asset to drive growth. Information Asset’s client list includes businesses from Financial Services, Insurance, Education, Freight, Retail, and Government sectors. Learn more at www. Information-asset.com. 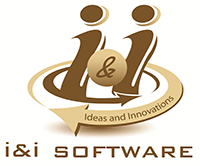 I&I Software is a data governance (DG) company offering process-driven end-to-end DG solutions — consulting, planning, implementation and project management. We have seventeen years of experience in enabling technology transformation for federal and state government departments, nonprofits and private corporations. We are a Collibra business partner, we can implement, configure, and setup complex workflows in Collibra. Our custom-built integration frameworks for Collibra will ensure it works seamlessly with your existing CRM, ERP, BPM and BI systems. Our tools and accelerators leverage existing information management products to address gaps and extend capability at a much lower total-cost-of-ownership. Kalypso is a global consulting firm helping clients deliver better results from innovation in a digital world. We provide comprehensive strategy, operations, digital and technology services to improve innovation performance in consumer, manufacturing and life sciences industries. RedPoint Global provides software solutions that transform how brands connect with their customers. The RedPoint Customer Engagement Hub™ delivers a unified view of each customer, determines the next best action, and orchestrates interactions to drive highly-personalized and contextually relevant customer engagement across all touchpoints. Leading enterprises use RedPoint technology to help them achieve sustainable, profitable revenue growth. For more information, visit www.redpointglobal.com. DAMA, the Data Management Association International is a not-for-profit, vendor independent association of technical and business professionals dedicated to advancing the concepts and practices of information and data management. The primary purpose of DAMA International is to promote the understanding, development, and practice of managing data and information to support business strategies. DAMA International has chapters and members throughout the world. The Data Governance Professionals Organization (DGPO) is an international non-profit, vendor neutral, association of business, IT and data professionals dedicated to advancing the discipline of data governance. The DGPO provides a forum that fosters discussion and networking for members and seeks to encourage, develop and advance the skills of members working in the data governance discipline. The Enterprise Data Management Council (EDM Council) is a neutral business forum founded by the financial industry to elevate the practice of data management as mandate for efficient business operations. The Council was established in 2005 as a 501(c)(6) non-profit trade association to create and implement standards for effective data management; to develop best practice recommendations for EDM implementation; to conduct data management-related research; and to provide a network for all segments of the data management industry to use for the development of business relationships. The prime directive of the Council is to ensure that all consumers have trust and confidence that the data they rely on for decision-making, analysis, trading, clearing, settlement, modeling, business development, valuation, risk assessment, compliance, etc. is precisely what they expect it to be (i.e. fit-for-purpose) without the need for manual reconciliation or multiple data transformations. The Council is a mutual organization of members and governed by an elected Board of Directors. Global Data Strategy is an international information management consulting company specializing in the alignment of business drivers with data-centric technology. Our passion is data, and helping organizations enrich their business opportunities via data strategy, data governance, Big Data & business intelligence, master data management, data architecture, and other data-centric initiatives. For more information, visit www.globaldatastrategy.com and follow us on Twitter at @GlobalDataStrat. The Insurance Data Management Association, Inc. (IDMA) is an independent, non-profit professional association that provides education seminars and forums, one-day classes, and a formal certification curriculum for individuals who want to further their career with training in Insurance Data Management ­ including Insurance Statistical Data, Financial Data, Data Administration and Warehousing, Systems and Project Management, Data Processing and Data Quality. Reference Data Digest is a monthly newsletter that provides data managers with updates on changes to commonly held reference data tables (code tables). This means that data managers have a single source for information about reference data changes. Additionally, important announcements from reference data standards bodies are summarized, and expert commentary on the reference data space is provided by Malcolm Chisholm. More information is available at www.referencedatadigest.com. The Data Administration Newsletter is an electronic newsletter that focuses on the exchange of ideas between individuals related to data administration. Every article focuses on tips, techniques, and strategies on how to manage corporate data as a valued asset.